The Digital Library contains books which have either been digitised by the Trades House or are available as free downloads on the Internet. They are available for personal use only and may not be copied with the intention of using them for any commercial purpose, without the written consent of the Trades House. To apply for written consent, please use the [Contact Us] page. The plan is to add more historic books of interest. 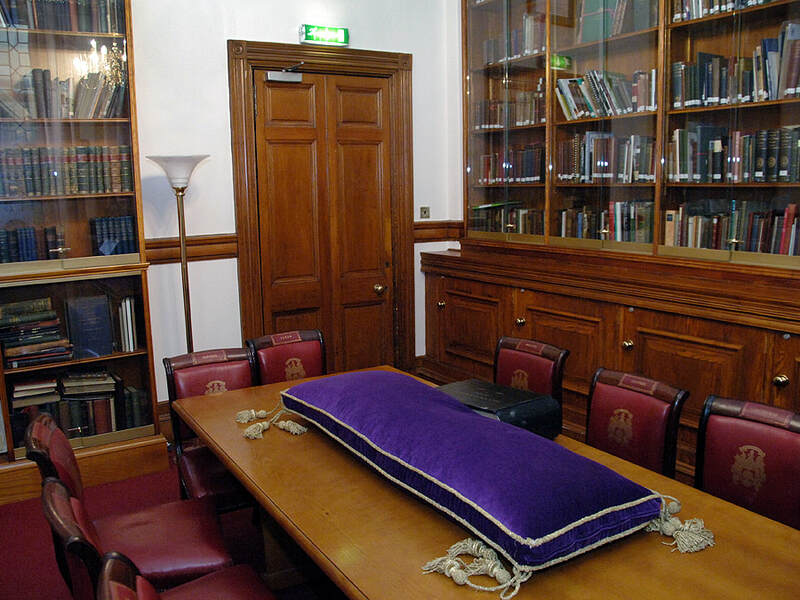 Anyone researching members of the Trades House or the Merchants House of Glasgow will at some time or other wish to access the Burgess Rolls and they can be found on this website in the Trades House Section. The Association of Deacons' Quinquennial Review 2017 is located on the Association of Deacons' section of the website. To read or download the review, please CLICK HERE. As January is fast approaching and speakers at Burns Suppers will begin to prepare their speeches on the Bard, it was thought that it might be a good idea for the website to have a few books on Burns that are not as readily available elsewhere. The memory of Burns. Brief addresses commemorating the genius of Scotland's illustrious bard by John D. Ross LL.D. The library was originally established in 1897 following the gift of a large oak bookcase by David MacLean Esq which had belonged to his brother, late Deacon-Convener William MacLean. Members of the house were invited to contribute books on the topic of guild life and history and the history of Glasgow. From the beginning the library was a reference library only and this policy has continued. 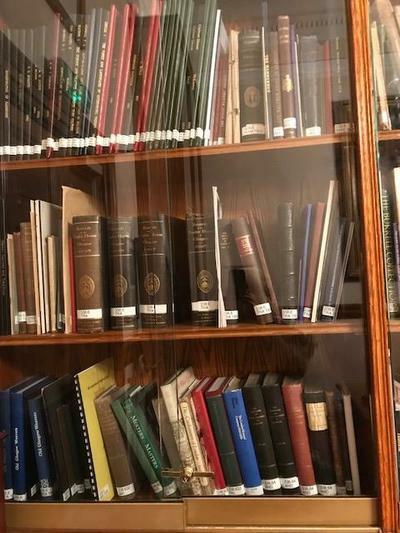 The library keeps to very much the same collecting policy established in 1897 and has a substantial and important collection of books relating to the Trades House and the City. 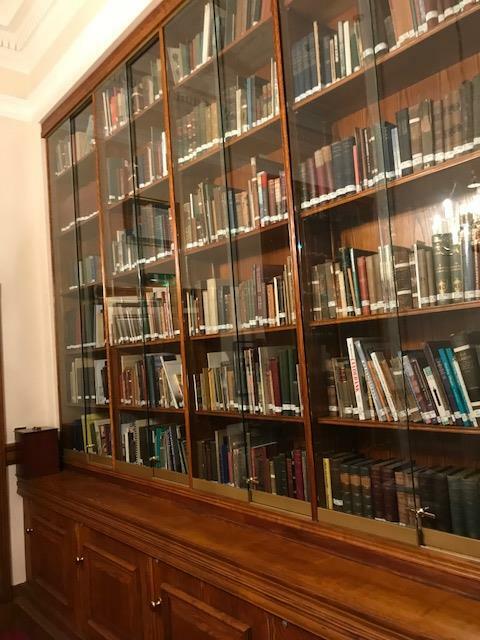 The original oak bookcase has been replaced by purpose-built shelving which was installed by the 1994 Chain Gang in celebration of 200 years of the Trades Hall. Many of the original donations were deposited in the Mitchell Library in the 1960s and the books in the Trades House now consist mostly of more recent donations and the extensive collections of the Old Glasgow Club and the Colquhoun Library, the library of the Junior Chamber of Commerce. The library’s main holdings date from the late 19th and 20th centuries and include histories of individual firms, churches and organisations as well, of course, of the individual crafts. On the wall in the library is a copy in oils of the “Four Philosphers” by Peter Paul Rubens. 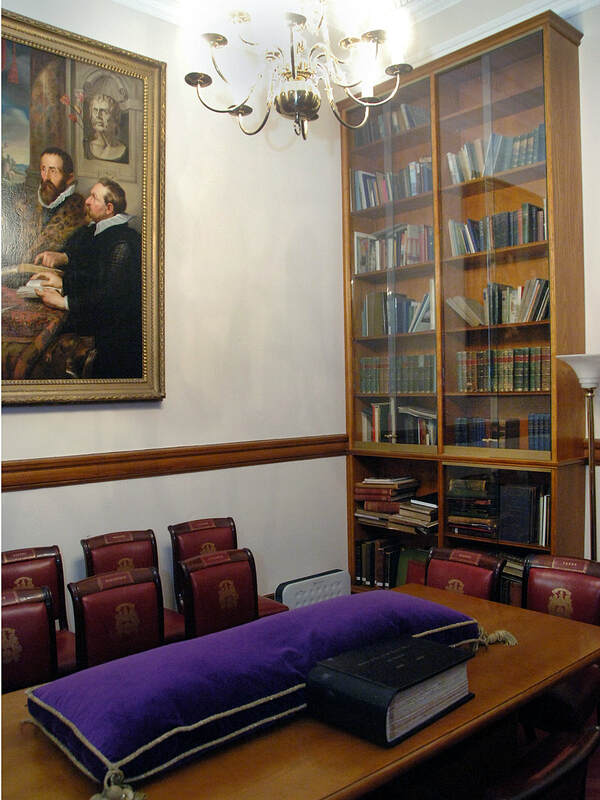 The chairs used by the Deacons and Visitor of the fourteen Incorporations are also kept in the library. All photography has have been taken by George Mahoney and the Trades House acknowledges and thanks him for his kind work.